I remember this movie was delayed at least once before coming out - not usually a good sign. The found footage aspect was probably the hardest part of the film to swallow - but time travel (even when treated as loosely as it is here) is always a fun genre. The movie references the best - Back to the Future, Bill and Ted, Looper, Timecop (okay, maybe "best" is reaching) - but doesn't bring much new to the table. That being said, it has its moments, the actors are decent and the ending a bit unexpected. Plus, Imagine Dragons - overall, shut down your brain and have a bit of fun with this one. "There's a slight chance that oxygen and nitrogen naturally found in the air could catalyze. For once a movie produce by Michael Bay that didn't turn out to by the biggest stink pile of the year to my surprise. The story is about an old tape of a birthday party that seems to confirm time travel, a group of teens actually construct their own machine... but as they change the past for their betterment - it wrecks havoc on the world and the only way to stop it may be to make sure the machine never comes to be - no matter the cost. No posts have been made on this movie yet. 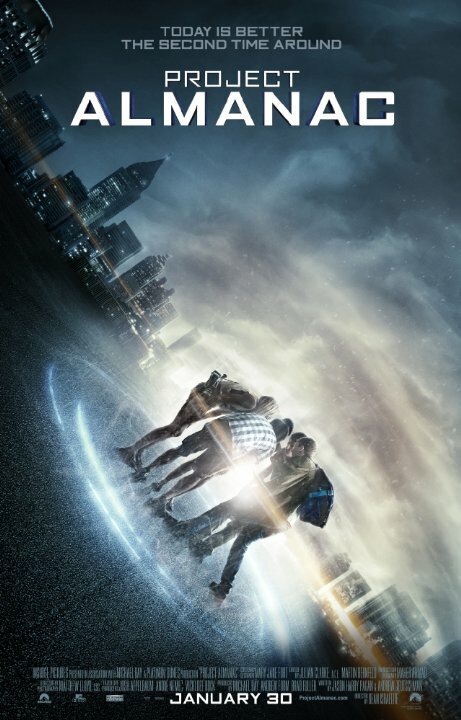 Be the first to start talking about Project Almanac!